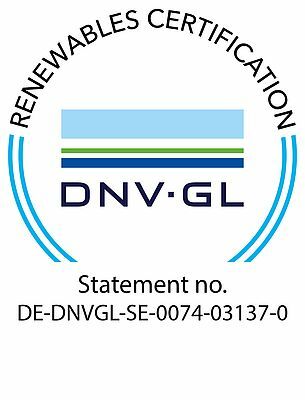 ExxonMobil’s advanced wind turbine gear oil, Mobil SHC™ Gear 320 WT, has been awarded a Conformity Statement by DNV GL, one of the world’s leading certification bodies for renewable energy projects. The lubricant is the only dedicated wind industry oil to receive this accolade, the first stage of a three-part progression to total accreditation. Developed in collaboration with leading global OEMs, Mobil SHC™ Gear 320 WT was formulated to help deliver outstanding protection for critical wind turbine components over long oil drain intervals. Learn more about Mobil SHC™ Gear 320 WT or our wider Mobil SHC lubricant offer by visiting mobil.com/SHC.